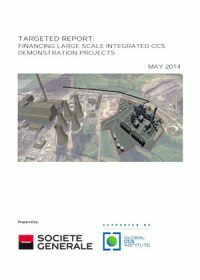 In this report Societe Generale examines the international finance community to determine the awareness, understanding and appetite for financing carbon capture and storage projects with debt. 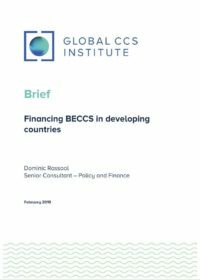 Undertaken on behalf of the Global CCS Institute to broaden understanding on carbon capture and storage (CCS) issues, this report assists those in the decarbonisation arena to understand perceptions of debt finance. 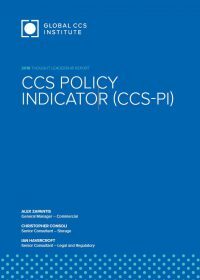 The project was led by Allan Baker, who has been involved in the CCS sector for the past five years, particularly in respect of bringing finance related issues to the attention of the policy and decision makers in the industry around the world. 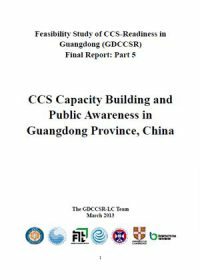 He was able to draw on this experience in addition to the experience and contacts built up over his 20-plus years in the project finance area, to provide a useful insight into how the finance community perceives CCS and the major issues that could stand in the way of financing such projects. This ADB report identifies a 1%–4% investment in energy efficiency, as a share of overall energy sector investment, can meet as much as 25% of the projected increase in primary energy consumption in developing Asian countries by 2030. This cost-effective investment, in turn, can boost regional energy security by tempering the need for imported energy, as most countries in the region, 2 decades from now, will produce 50% or less of the energy they require. 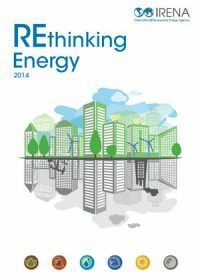 More generally, robust deployment of energy efficiency can relieve pressure on existing energy infrastructure while reducing emissions and other pollutants that harm air quality and contribute to climate change. 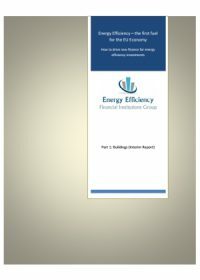 This report identifies key areas of interest for accelerating energy efficiency investments. 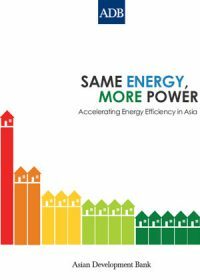 The report also examines global and regional trends that are driving Asia’s energy demand and the resulting policy and regulatory environment for energy efficiency. 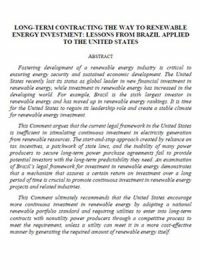 This comment from Emory Law Journal argues that the current legal framework in the United States is inefficient in stimulating continuous investment in electricity generation from renewable resources. The start-and-stop approach created by reliance on tax incentives, a patchwork of state laws, and the inability of many power producers to secure long-term power purchase agreements fail to provide potential investors with the long-term predictability they need. 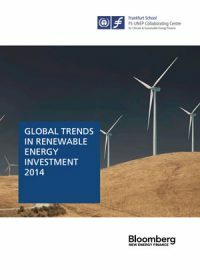 An examination of Brazil’s legal framework for investment in renewable energy demonstrates that a mechanism that assures a certain return on investment over a long period of time is crucial to promote continuous investment in renewable energy projects and related industries. This report summarizes the feasibility study that was undertaken for deliver Project Pioneer. 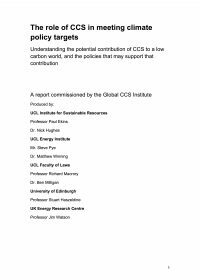 This Project would have been one of the first carbon capture and storage (CCS) projects to utilise an integrated approach for CCS, and was expected to serve as a prototype for the long-term, commercial-scale application and integration of CCS technologies to achieve reductions in greenhouse gas emissions. 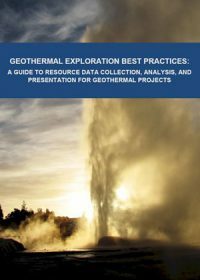 After completion of a feasibility study and despite substantial government and industry investment, the Project was not economically feasible due to insufficient CO2 sales markets and emissions pricing in Alberta and Canada. 루마니아의 전력 발전은 주로 석탄에 의존하고 있기 때문에, CCS를 사용하면 화력발전소를 계속 가동하면서CO2 배출량을 크게 감소시킬 수 있다. 이 금융 시나리오 보고서는 대규모 CCS 프로젝트를 위한 최적의 해법을 분석하고 있는데, 이 프로젝트를 위한 재무 자원을 찾고 확보하는 문제를 다루고 있다. 현재 확보한 자금원은 유럽연합 및 국가 차원의 자금이며, 프로젝트 금융 구조의 적합성, 프로젝트의 자격, 자금의 출처(공공/민간), 자금의 유효성, 시간의 유효성과 확신의 정도를 분석하였다. 세 개의 시나리오는 CCS 프로젝트를 위한 자금원의 가능성을 기반으로 완성되었다. 질적 평가가 실시되었으며, 이 평가를 바탕으로 최고의 시나리오가 선정되었다. 제안된 금융 시나리오는 NER 300보조금과 유럽연합의 배출권 거래 제도(EU ETS)의 경매 소득에 근거하였다. 투자비를 충당할 수 있는 그 외 다른 자금원은 소규모의 보조금들과 주식 발행, 그리고 대출이다. 이 시나리오는 가장 성공 가능성이 높은 자금원들을 조합한 것이며, Getica 프로젝트가 진행되는 동안 실행 비용 및 운영, 금융 비용이 충당될 것이다.